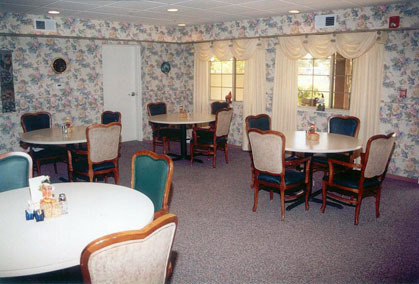 Elmwood Assisted Living at The Springs (East campus) is a two-story Tudor style facility located on the grounds of the original Elmwood. . . "The Inn Beautiful Hotel and Resort". It is here that Elmwood originated in the early 1900's. Today, this 20-suite friendly and caring community is found on Elmwood at The Spring's east campus, just adjacent to Elmwood Nursing Home at The Springs and Elmwood Village for Independent Living. 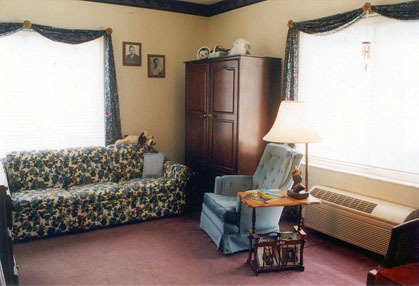 Paying homage to our rich history of excellence, Elmwood Assisted Living at The Springs' interiors are lined with authentic antiques and artwork acquired from local residences and artists. Historic photos depicting the original Elmwood as it proudly stood in the early 1900's can be found in the community. The family room, dining room, and garden patio offer comfortable seating and provide the perfect place to sit and visit with friends and family. An exterior paved fitness walking path winds in and around the assisted living community and throughout the rest of the continuum of care campus. Benches are conveniently placed on the beautifully landscaped grounds making the walking path a popular place to gather in the afternoon. Elmwood Assisted Living at The Springs offers personal care service, security, and peace-of-mind with nurses on duty 24-hours a day in the adjacent skilled nursing facility. 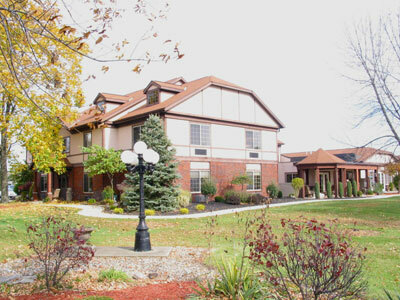 Licensed by the Ohio Department of Health as a 20-suite / 36-bed Residential Care Facility, Elmwood Assisted Living at The Springs is a member of Assisted Living Federation of America, Ohio Assisted Living Association, Ohio Health Care Association, Ohio Assisted Living Association, and the Sandusky County Chamber of Commerce. 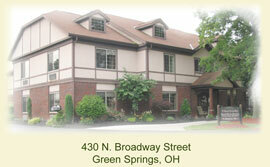 Elmwood Assisted Living at The Springs offers numerous suite floor plan options. Each is tastefully appointed with wall-to-wall carpeting, twin bed, matching bedside stand, wardrobe, Victorian scarf window dressings and privacy shades, wallpaper border and linens for the bed and bath. A refrigerator, telephone and cable access are also provided. Each style features a kitchenette, private bathroom with walk-in shower with seat, individually controlled heating, and air conditioning, a nurse call system and more. 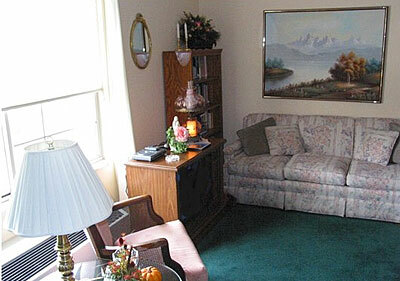 Most residents choose to personalize their new home and are welcome to furnish their own suite. Pictures for the walls, favorite furnishings, and decorations can be brought in to create that comfortable and familiar feeling. 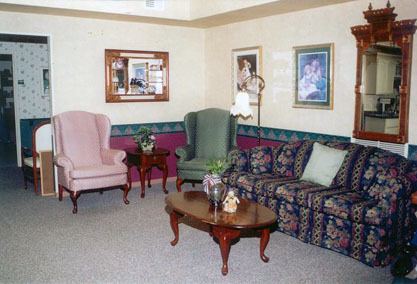 Elmwood Assisted Living communities are residential living communities which offer support with activities of daily living as well as medical monitoring, medication administration and nursing supervision. Social and recreational programs, fine dining, housekeeping, laundry, and maintenance services are all a part of these exceptional residential communities. 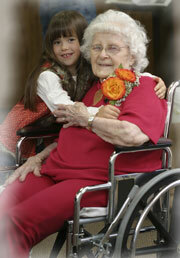 Elmwood Assisted Living at The Springs provides: (click on services for explanation of care). Just 10 minutes southeast of Fremont on SR 19. East Campus - 430 N. Broadway St.